Dar Lighting Albany 3 light ceiling fitting with a polished chrome fitting supporting a dramatic decorative cut glass diffuser. 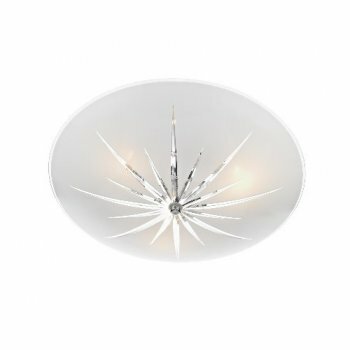 The product code for this Dar ceiling fitting is ALB532. This elegant and minimalistic ceiling fitting would sit nicely in either a traditional or modern environment.